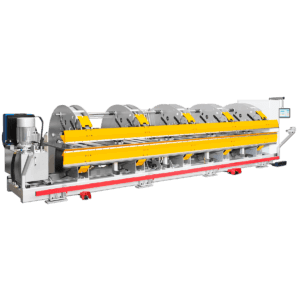 The folding machine Thalmann TZ 200 is a long folder, it can fold sheet metal with a length of 13 to 40 feet with a folding capacity of 14 gauge. 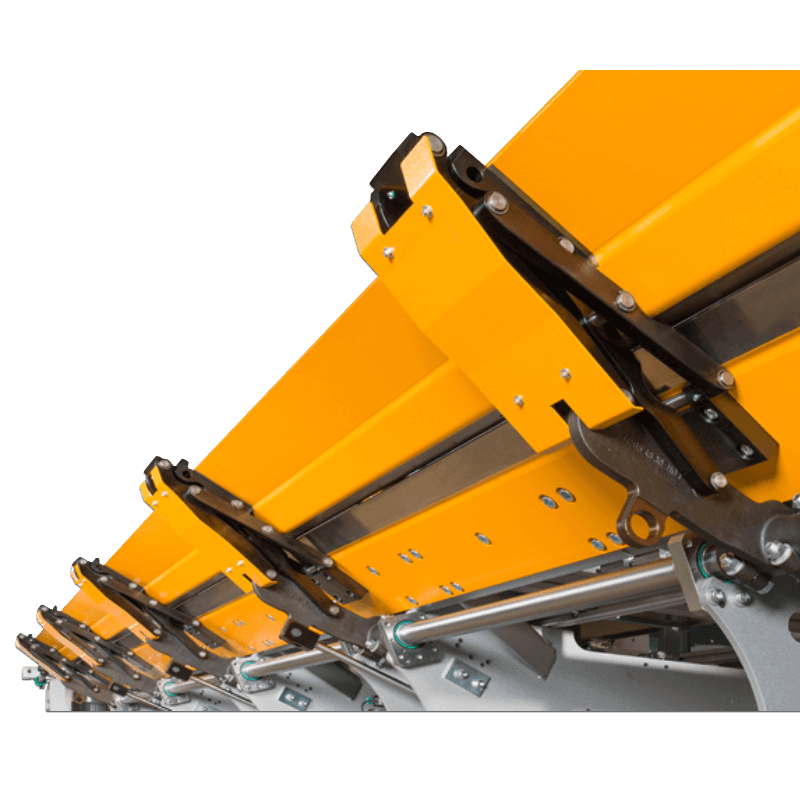 This electric long folder has a vertical force drive system and rigid C-Frames which distribute the clamping force over the clamping and folding beams. 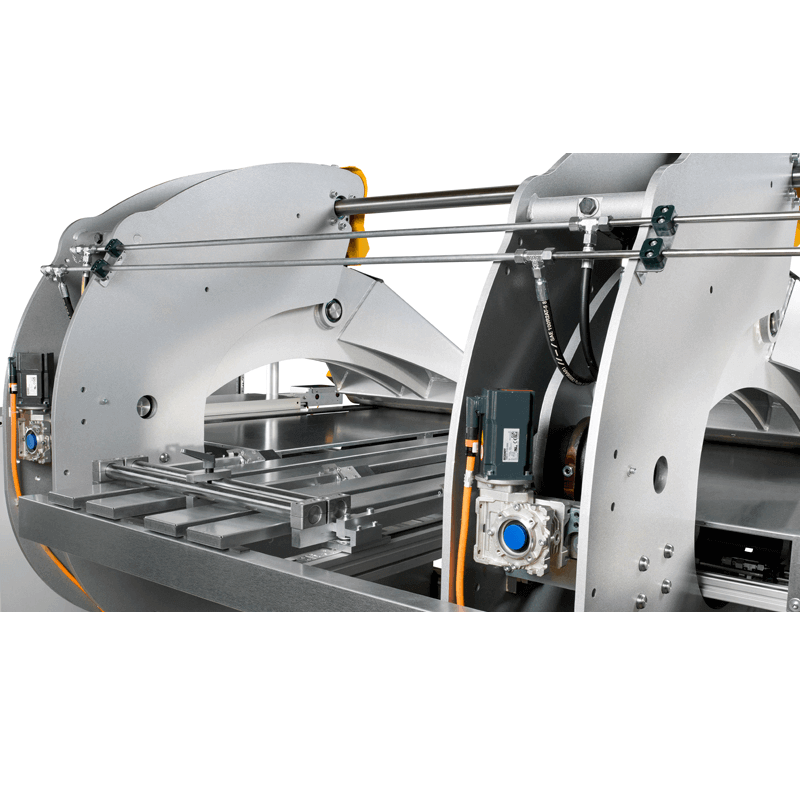 Then the clamping force is more important. 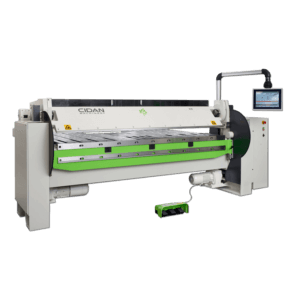 It is also possible to make folds of 45°. 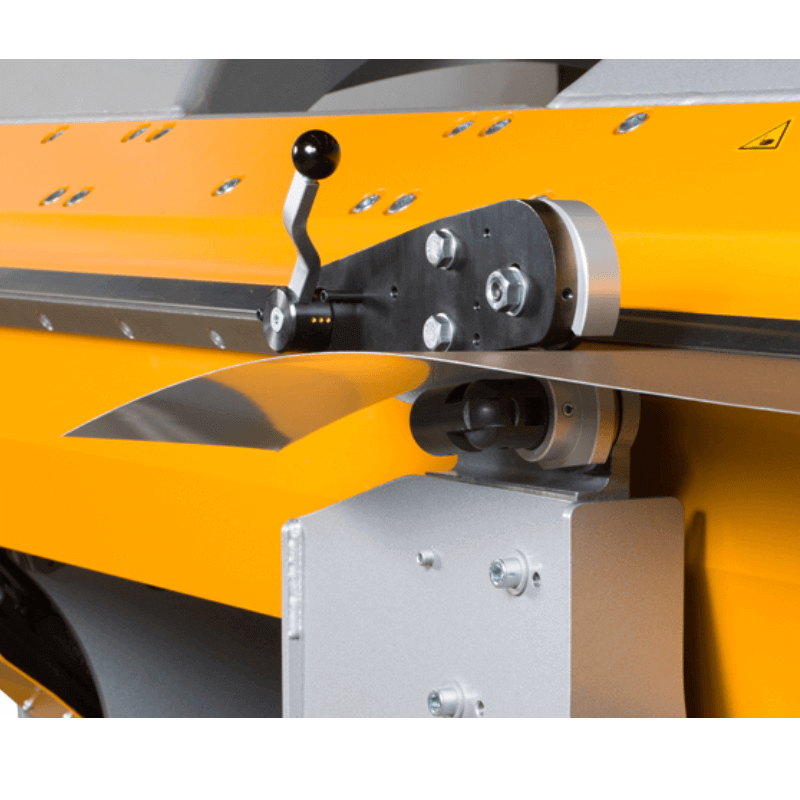 Thalmann folders are built with a strong torsion shaft of 2” on the upper clamping beam, which ensures a perfect parallelism, even if the hydraulic cylinders connected to the top beam work differently. 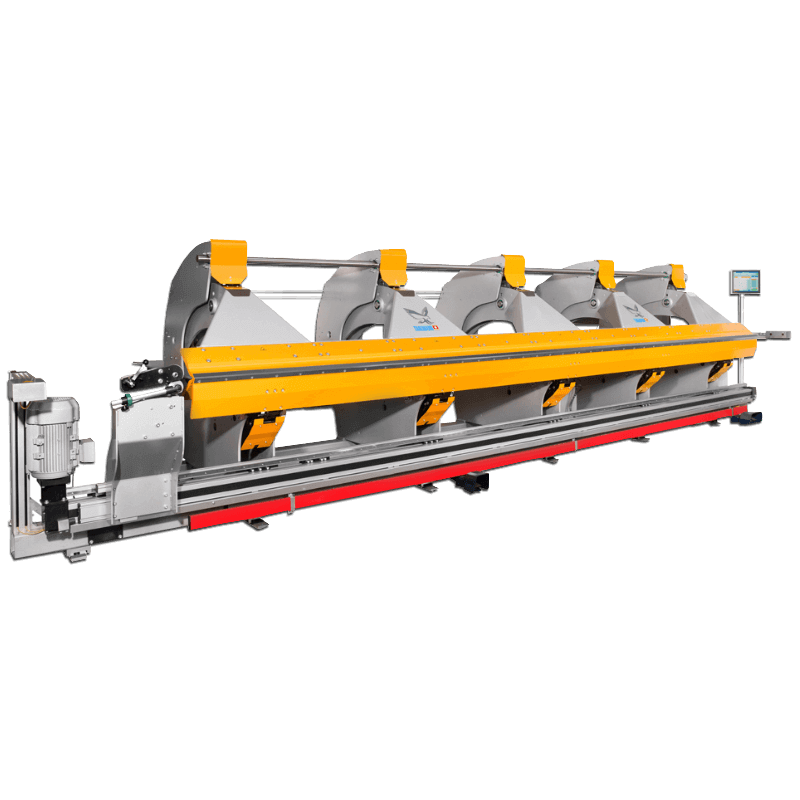 The Thalmann TZ 200 folding machine is available in 5 models to fold long sheet metal of different sizes : 13.8′, 21′, 27′, 32.75′ and 40′ or custom length. 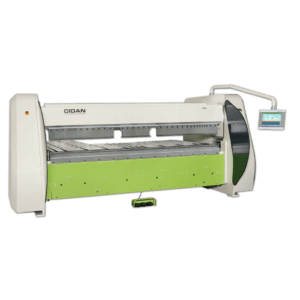 The custom TZ folding machine with custom length and custom folding capacity according to your real needs. 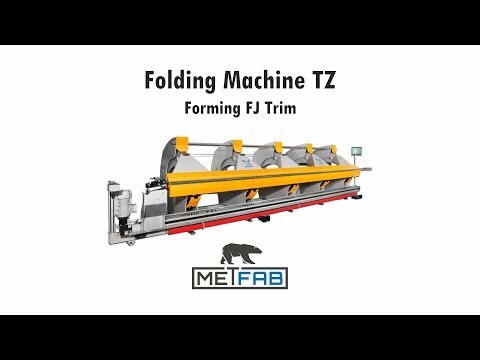 Form a FJ trim in less than 1 minute 30 with the TZ folding machine.